Bandung, the capital city of West Java Province is one of the most favorite cities to run from your daily routine for a short escape. Located in a hilly part of the Java Island, the weather in Bandung is cooler and definitely will boost your mood to face another Monday. This third largest city in Indonesia was colonized by the Dutch decades ago, thus you can still see the remnants of the old time from the buildings all around the town. As a big and prominent city in Java, you will find many kinds of transportation to travel to Bandung. You just need to take three hours by train from Jakarta, or by air – flying to Husein Sastranegara International Airport. In Bandung you can enjoy the city by renting a car. Here are some best destinations for your short escapade. Trans Studio in Bandung is a 4.2 hectares indoor theme park located at Jalan Gatot Subroto 289 (Gatot Subroto Street 289). Trans Studio offers a wide range of exciting rides, entertainment, and attraction inside it, so you don’t need to worry about being sunburnt. The areas are divided into three unique zones, with each zone delivering different experiences to its visitors. Studio Central is designed with Hollywood theme, completed with Hollywood actors and actresses on Walk of Fame like Marylin Monroe. It only gets better with the architectural design of the building that will make you feel like stepping into Hollywood ’60s. Lost City is designed for those seeking adventure, step into the jungle and safari track and save the TransTV crews! Dusun Bambu is for family or friends looking for a unique integrated destination. Situated on the foothill of Burangrang mountain, Dusun Bambu offers the natural beauty of the surrounding hills. The natural environment is equipped with leisure facilities. Burangrang Café and Resto, Pasar Khatulistiwa (Khatulistiwa Market), and Purbasari Restaurant are ready to serve you delicious meals while enjoying the green magnificent view. 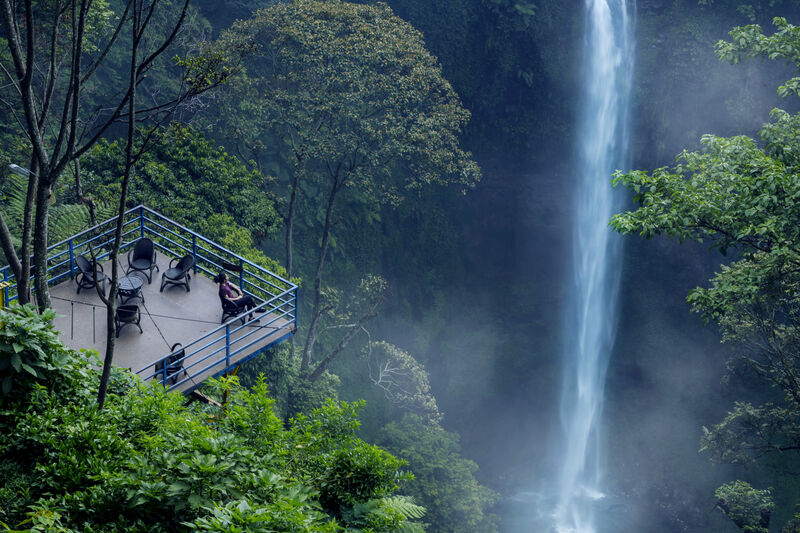 Lutung Kasarung Area is another favorite spot to enjoy your lunch and taking pictures in a birds nest shaped platform. Don’t forget to take a walk at Taman Arimbi for a nice stroll with flowers and a small river along your way. While you’re at it, spend your night at Villa Dusun Bambu at the glamorous camping area. Lembang Farmhouse – situated in the strategic Jalan Raya Lembang 110 (Lembang Raya Street 110), is an integrated tourist destination with various themes and attraction in every section. This place is offering a unique atmosphere with a European village style building. There are many spots perfect for taking pictures with your loved ones such as Hobbit’s House, renting European costumes, flower garden, European Café, a mini waterfall, a Padlock bridge just like in Paris. To complete your experience, there are various activities you can do such as feeding the animals at the animal’s farm, renting Holland traditional costumes, and buying souvenirs from the stalls along the way! On weekends and holidays, this place will be packed. Paris van Java Mall (PvJ) is the largest shopping center in Bandung only minutes away from Pasteur exit toll in Sukajadi. PvJ has been famous for its Resort Lifestyle Place, combining exclusive shopping experience with exclusive brands, culinary and entertainment in one place. This shopping center also has an ice skating rink with a guide for beginners, sky garden, Dunia Bajing – a spot perfect for your children to play and taking photos with squirrels. On weekends, a market is set up for visitors to buy various crafts, healthy dishes, and DIY stuff. Skywalk Cihampelas or known as Ciwalk is a shopping center in Cihampelas area. 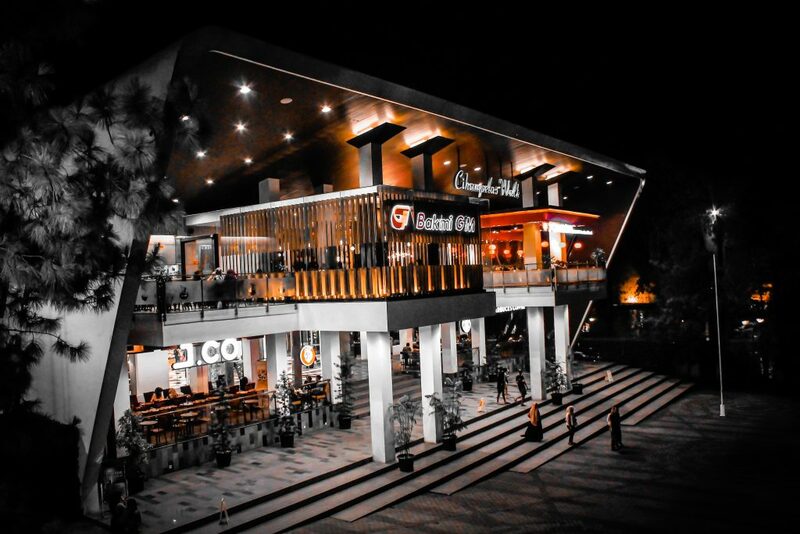 This shopping center combines indoor and outdoor concept thus you can stroll around the mall while enjoying Bandung’s breezy wind, especially at night. For those looking for a culinary experience, Ciwalk has a bunch of restaurants to satisfy your appetite. Pizzas, bakso (meat ball), desserts are available. Karaoke, a game center, and cinemas are ready to entertain you. Surrounding Ciwalk are clothing shops and skywalk Cihampelas where you can stroll the area from above while savoring the city life in the night.